Alabama has more than 132,000 miles of rivers and streams, and there is a special day dedicated to celebrating them. Rivers of Alabama Day is the second Tuesday in April. 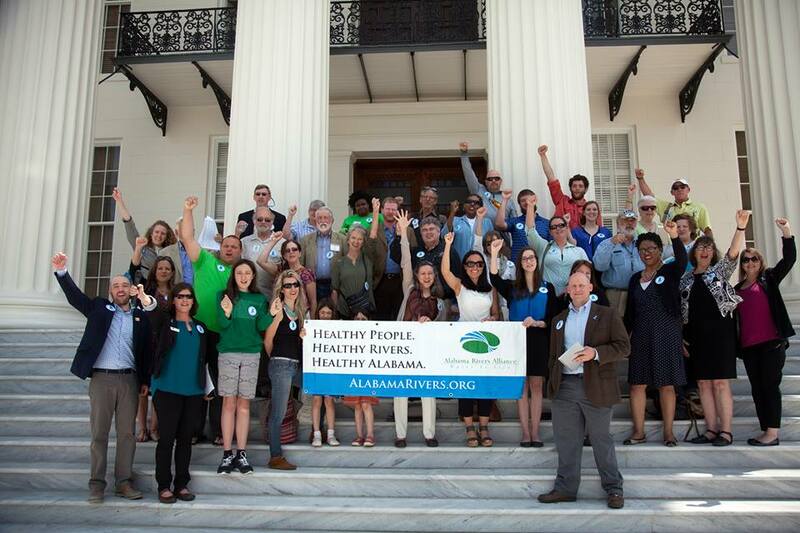 In addition to celebrating Alabama’s waterways on this day, the Alabama Rivers Alliance encourages all Alabama citizens to celebrate the vital network of grassroots groups that fight to protect them. Rivers of Alabama Day was established in 2007 when the Alabama State Legislature passed a resolution establishing the second Tuesday in April as Rivers of Alabama Day. Supported by both houses of the legislature, the purpose of this day is to recognize the many valuable assets rivers bring to the State of Alabama. According to the resolution, Alabama’s rivers are a blessing to the state since they provide habitat to high quality freshwater fish, mussel, snail, and crawfish species; supply the water essential to agriculture and and industry; and support the state’s multimillion dollar tourism industry. Meeting your legislators face to face at the State House! Please register to join us by clicking here. where we will receive 10% of all sales!